We would like credit for not writing ”Holy Mole!” in the headline. The temptation was overpowering. Cooler heads prevailed. 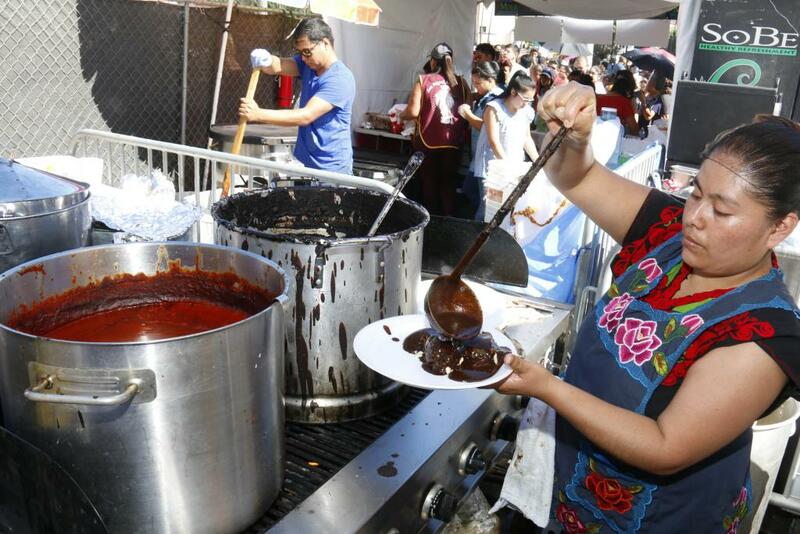 More than 30,000 people are expected at the tenth annual La Feria de Los Moles in Grand Park (200 North Grand Ave.) on Sunday, October 1. 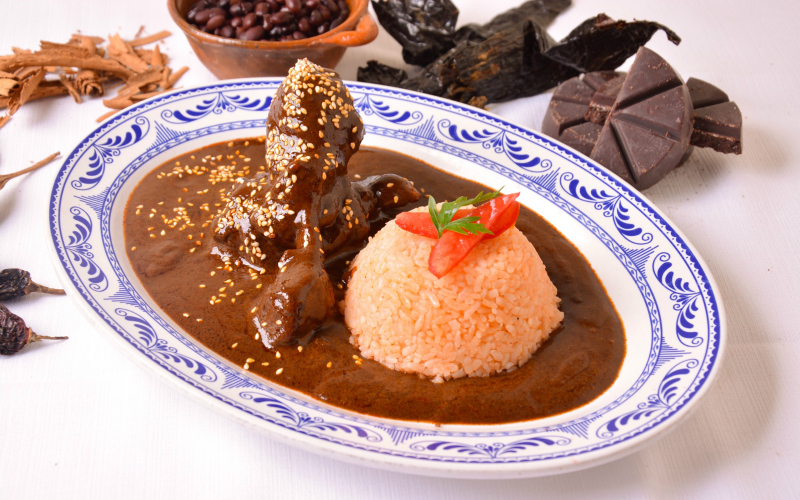 The festival celebrates mole, the flavorful sauce at the center of Mexican cuisine. A variety of sweet, salty, and hot moles will be available for tasting, and special guest chef Liz Galicia from Puebla, Mexico, will be serving her famous vegan mole. The event features two stages with live entertainment, as well as plenty of opportunities to learn more about mole and other aspects of Mexican culture. Watch a presentation on mole’s origins, visit the Mole Museum to see an exhibit of traditional mole-making tools, or talk to Miss Mole, a young woman chosen from the community to help promote the festival. You’ll recognize her by her gown, which is decorated with mole ingredients. This year, the festival is also flying in several family members from Mexico to reunite parents with their children for the first time in 20 years. The reunions, intended as a way to preserve Mexican traditions, will take place during the celebration at Grand Park, so that visitors can share in the families’ joy. 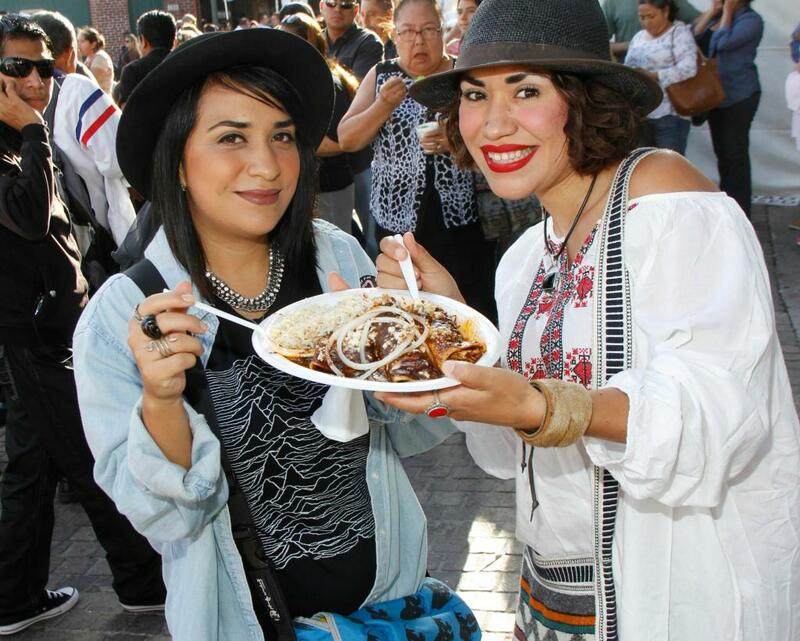 La Feria de los Moles runs from 10 a.m. to 7 p.m. Admission is free; food is available for purchase.